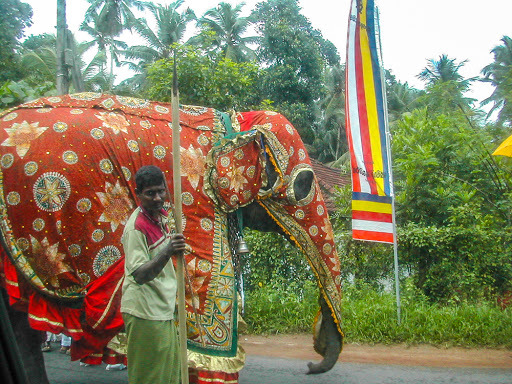 Perahara (which I hoped I spelled correctly) is a Sinhala word which basically means religious procession or parade. Sri Lanka has them on a fairly regular basis. This one had an elephant, all dressed up and everything.